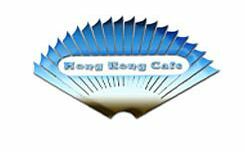 The food at the Hong Kong Cafe relies on fresh ingredients and light, mild sauces, unlike spicier and heavier Hunan and Szechwan cuisines. Popular dishes are potstickers and crab Rangoon for starters, and entrees include orange and sesame beef, sesame chicken and General Tso's chicken, and pepper shrimp. But with nearly 150 items on the menu, there are plenty of choices of combinations of meats, vegetables and sauces. On the weekends, the restaurant is one of just a handful in the city that serve dim sum. Just about any food can satisfy a hungry stomach. But dim sum, by its very definition, "touches the heart."